Mon., 11 Nov. - Tue., 3 Dec. Sun., 1 Dec. - Fri., 13 Dec. Sun., 10 Nov. - Tue., 3 Dec.
Fri., 30 Aug. - Tue., 10 Sep. Sun., 10 Nov. - Sun., 1 Dec.
Wed., 11 Dec. - Wed., 18 Dec. Sun., 25 Aug. - Wed., 4 Sep.
See all 2,824 properties in Kona Intl. 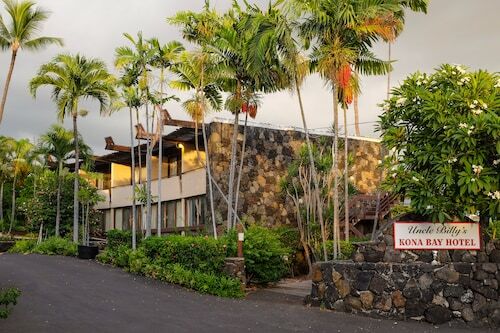 Located on the water next to Kona Pier, Courtyard by Marriott King Kamehameha's Kona Beach Hotel is ideally situated for walking around Kailua-Kona village; King Kamehameha himself once lived on this resort site, after he unified Hawaii. 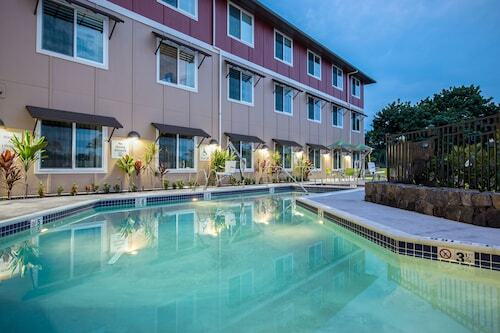 Situated near the beach, this hotel is within a 5-minute walk of Hulihee Palace and Mokuaikaua Church. 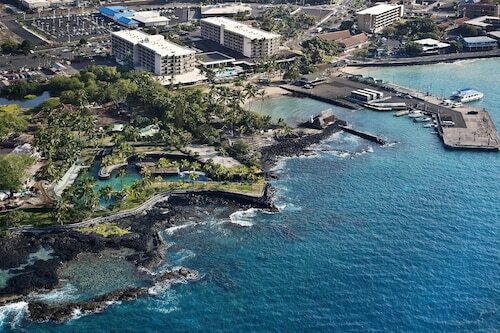 Kailua-Kona Wharf and Kona Community Aquatic Center are also within 1 mi (2 km). This 7-story Waikoloa beachfront hotel located on an island is adjacent to two golf courses and within a 5-minute drive of King's Shops and petroglyphs. Anaehoomalu Bay is a mile away. 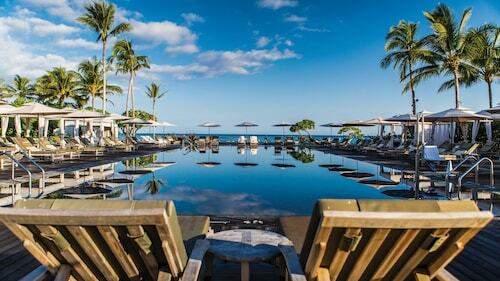 Question : How much time do people spend in Kailua-Kona? Answer : The average time spent sightseeing in Kailua-Kona by passengers from Calgary is about one week. However long you decide to stay, give yourself plenty of time to see what makes Kailua-Kona fantastic. Answer : You sure can switch your departure or arrival date and you may save money by changing when you take off. The cheapest day to fly in April is Tuesday. You may be thinking you're missing out taking off a day earlier, but we see it as just adding those savings towards your next holiday. A dollar saved is a holiday earned. Question : What is the cheapest airline flying from Calgary to Kailua-Kona? Answer : Air Canada strives to keep costs low for their passengers over the next three months. Bookings are being made at just $450, which is quite a deal when compared to the high-end bookings of $1,338. 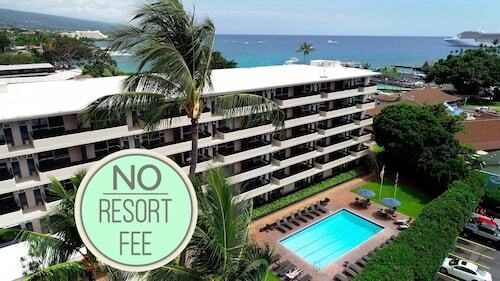 Answer : The cheapest day to fly from Calgary to Kailua-Kona is on Tuesday. If you are trying to save some cash on your next trip look for flights on Tuesday. Question : What is the cheapest date to fly to Kailua-Kona? Answer : Tickets are currently $450, 37% less than the average price. As of Apr 15th, the cheapest day to fly from Calgary to Kailua-Kona is Apr 16th. Question : How much is a plane ticket to Kailua-Kona (KOA) from Calgary (YYC)? Prices vary from $450 to $1,338. Booking in advance can typically help you get the cheapest rate. Remember, booking ahead can save you dollars can use to treat yourself while on your holiday. And who doesn't like to treat themselves? Answer : Prices vary from $450 to $1,338. Booking in advance can typically help you get the cheapest rate. Remember, booking ahead can save you dollars can use to treat yourself while on your holiday. And who doesn't like to treat themselves?